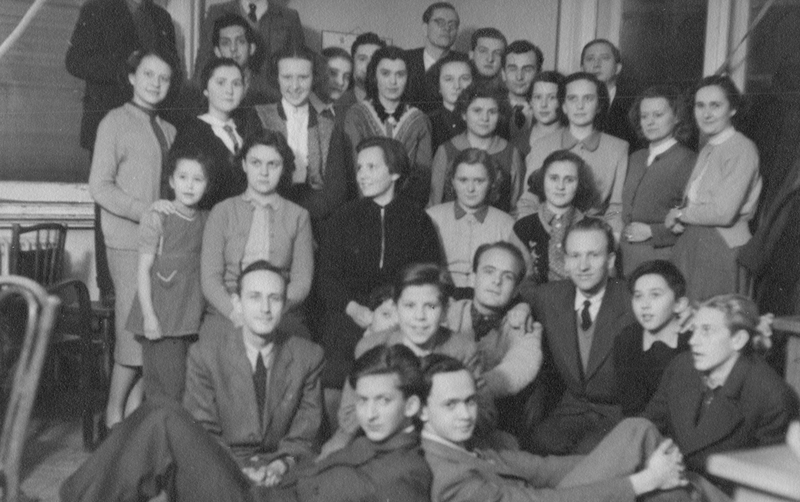 The collection, which is the private property of István Viczián, illustrates the history of the Calvinist youth organization of Pasarét under socialism. The collection includes letters and photographs, which provide insights into the aspirations of the group to create an active religious community in an era when such communities were a threat to and contradiction of official communist youth policy. Leaders of the youth in Pasarét continued their activities as missionaries. They did so consciously, but not specifically against the regime. They felt they had to “hold this spirit, this flame.” They organized excursions for juveniles, Bible-reading circles, and missions for children. Theologist Károly Mikesi and István Viczián first took the young members from Pasarét to summer camp in 1958. There were two age groups in the Bible-reading circles in the second half of the 1960s. When the weather was good, Sándor Joó organized the discussions with participants in the children missions outside. They were motivated not by any specific desire to foster resistance to the regime, but by their personal beliefs and convictions. The party state did not tolerate autonomous collectives, and the socialist system tried to disband them. Because of the official prohibition and police persecutions, the congregation in Pasarét, like other religious communities, pursued its activities by avoiding drawing attention to itself. The creation of a private archive became a specific cultural opposition activity because of this aim of avoiding the risks of publicity. The private collection was based on an alternative identity which was founded on collective values, instead of the identity assigned by the party state (which highlighted hostile political aims). Documents of the Party and the state security authorities created an official source on the history about the Pasarét community. As an outcome of repression, the private collection of the congregation emerged as counter-memory against the system. Most of the material in the private collection of István Viczián consists of photographs, slide films, and letters. The photos are mainly made of people engaged in leisure activities – meetings (the so-called ‘copper angels’), excursions, and summer camps (for example in the camp in Balatonszárszó in 1958). Most of them were taken after 1956. Moreover, Viczián owns 12 negatives taken at a camp in Káptalanfüred in 1959. Most of the letters are part of the private correspondence of István Viczián. These letters are also very important sources on the history of the Calvinist youth congregation of Pasarét. Balogh, Margit–Gergely, Jenő: Állam, egyházak, vallásgyakorlás Magyarországon 1790–2005. (Dokumentumok). II. kötet, 1944–2005. [State, Churches, and the Practice of Religion in Hungary, 1790–2005. (Documents) Part II.] História–MTA Történettudományi Intézete, Budapest, 2005. (História könyvtár, Okmánytárak 2.) 1006. Bolyki János: Joó Sándor a kiemelkedő igehirdető és lelkigondozó. [Sándor Joó, the Prominent Preacher and Pastor] In: Reformátusok Budapesten 1. Tanulmányok a magyar főváros reformátusságáról. [Calvinists in Budapest 2. Studies on Calvinism in the Hungarian Capital.] Ed. Kósa László. Argumentum–ELTE BTK Művelődéstörténeti Tanszék, Budapest, 2006. 650–658. Iratok a Református Megújulási Mozgalom történetéből, 1956–1957. [Documents from the History of the Calvinist Revival Movement, 1956–1957]. Ed. and with an introductory essay by Kiss, Réka. [Dunamelléki Református Egyházkerület], [Budapest], 2007. 17–45. Kiss, Réka: Fejezetek a budapesti reformátusság második világháború utáni történetéből az 1970-es évekig. [Chapters from the history of Calvinism in Budapest from the End of World War II until the 1970s]. In: Reformátusok Budapesten 2. Tanulmányok a magyar főváros reformátusságáról. [Calvinists in Budapest 2. Studies on Calvinism in the Hungarian Capital.] Ed. Kósa László. Argumentum–ELTE BTK Művelődéstörténeti Tanszék, Budapest, 2006. 1387–1389. Kiss, Réka: Az egyházpolitika és a református egyház a forradalmat követő évtized egyházi pereinek tükrében. [Church Policy and the Reformed Church in Light of the Show Trials during the Decade after the Revolution.] In: Egyházüldözés és egyházüldözők a Kádár-korszakban. Tanulmánykötet. [Persecution of the Church and the Persecutors of the Church in the Kádár Period. Studies] Ed. Soós Viktor Attila–Szabó Csaba–Szigeti László. Szent István Társulat–Luther, Budapest, 2010. 289–305.